Are You Planning A Rwanda Safari To Gishwati-Mukura? Scroll Down..
A visit to Gishwati-Mukura National Park demonstrates how dedicated human efforts can begin to reverse the damage caused by deforestation, flooding, subsistence hunting, overgrazing, soil erosion, illegal mining activities, and irresponsible farming. The Gishwati and Mukura forests were once part of a network of lush forests across the Congo-Nile divide, extending from the Virunga Mountains which encampasses Volcanoes National Park in the north to the Kibira range, part of Nyungwe in the south. These forests supported an amazing diversity of flora and fauna within a beautiful biome. 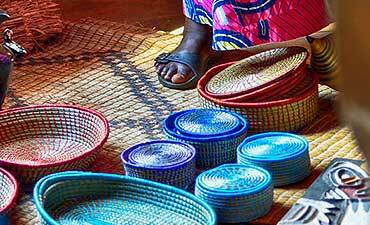 Following the unrest and genocide of 1994, the people of Rwanda began to travel back to their homes, clearing forests to build houses and farms, and for cattle grazing. Their subsistence farming activities took a serious toll on the forests, reducing them to a fraction of their original size and severely reducing the population of eastern chimpanzees and other fauna. 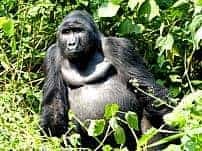 In response to alarms raised by environmental activists all over the world, President Paul Kagame established the Gishwati-Mukura National Park in February 2016, with the assistance of the American research institution Great Ape Trust, based in Des Moines, Iowa. During your tour of the forests, you will see that the surrounding biome has responded well to rejuvenation efforts, with chimpanzee populations and many species of flora and fauna beginning to flourish again. The park now covers an area of 3427 hectares, which includes a buffer zone of 992 hectares. Efforts are also in progress to create a designated corridor of green area, Twabugezi, which will connect these forests to Nyungwe National Park. Conservationists hope that opening this passage will encourage wildlife to populate the new reserves and widen the gene pool of the species living in them. On your adventure jungle holiday, you will have the opportunity to view some of the rare species that inhabit Gishwati-Mukura National Park. 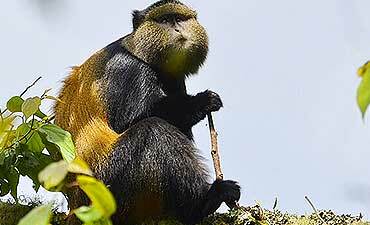 Among them are primates such as golden monkeys, chimpanzees, colobus monkeys, mountain monkeys, and some 130 species of birds, including the grey-crowned crane and martial eagle. 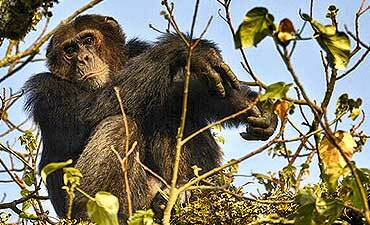 Go chimpanzee and primate trekking in Gishwati-Mukura Forest and you could spot a family of endangered eastern chimps, some distinct species of monkeys, 130 species of avian-life and other smaller fauna. Gishwati-Mukura has a lovely temperate climate. The park experiences dual wet and dry seasons, and we recommend that you plan your trip during the June-to-September dry season for a more pleasurable experience. When visiting Gishwati-Mukura, we recommend combining it with a gorilla and primate safari to Volcanoes (Parc National de Volcans), Nyungwe and a city tour of Kigali. You may optionally extend out to other wilderness areas of Akagera ending with a beach vacation at Lake Kivu or even extending out to the exotic spice island of Zanzibar or Lamu, or even Mombasa. ARE YOU PLANNING AN AFRICAN SAFARI TO GISHWATI-MUKURA IN RWANDA? HAVE YOU VISITED GISHWATI-MUKURA FOR AN AFRICA SAFARI IN RWANDA?